One of the hardest parts of organising a long trip is deciding what to pack. Since I was traveling to countries with different climates, I had to be very strict and only pack things I thought I'd be using a lot. 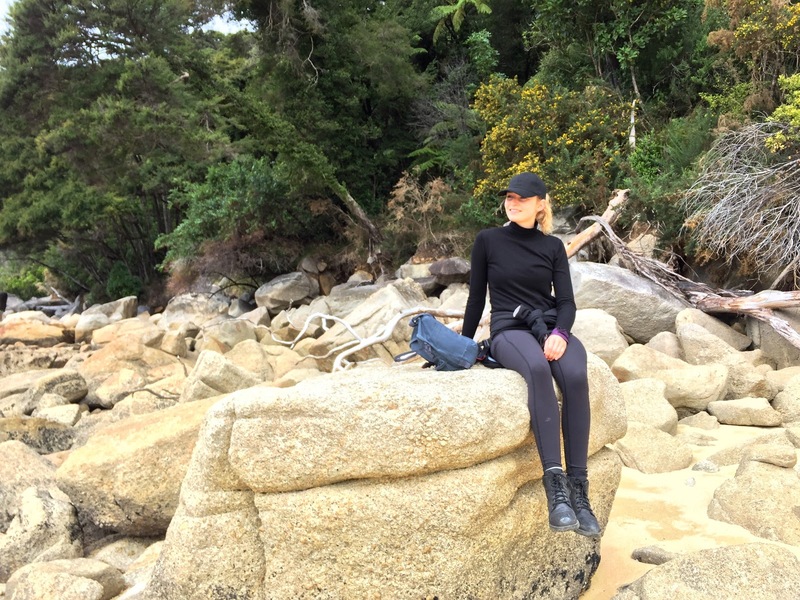 Today I wanted to tell you a bit about what to pack when you're backpacking/traveling through New Zealand. Known for its changeable weather, it's not the easiest country to pack for, and you really need to be prepared for all kinds of weather. But after three weeks in New Zealand I knew exactly which items were useful and which weren't. Since I wish someone had created a list like this while I was packing, I've made one for all of you who also wish to travel to one of the world's most beautiful countries one day! Of course your packing list entirely depends on which season you're traveling in, how long and how you're traveling (by car, bus, campervan etc.) I traveled for three weeks, starting March 6th. We rented a small camper (a Spaceship, which unfortunately I can't recommend, but I'll get to that in another post), stayed at camping sites and sometimes in motels. I had a 70 liter backpack and brought around 13 kilos with me, plus a small 'daily' backpack. Even if you're not backpacking (traveling by bus and staying in hostels), I can still recommend getting a backpack because it takes less space and it's lightweight. We also bought some things 'on the spot' in New Zealand such as shampoo, towels, insect spray etc. This list doesn't include every single thing I packed, but I decided to tell you about the things I think you should definitely bring. Cap or hat - We made the mistake of not bringing caps, so I burnt my forehead on one of the first hikes we did. 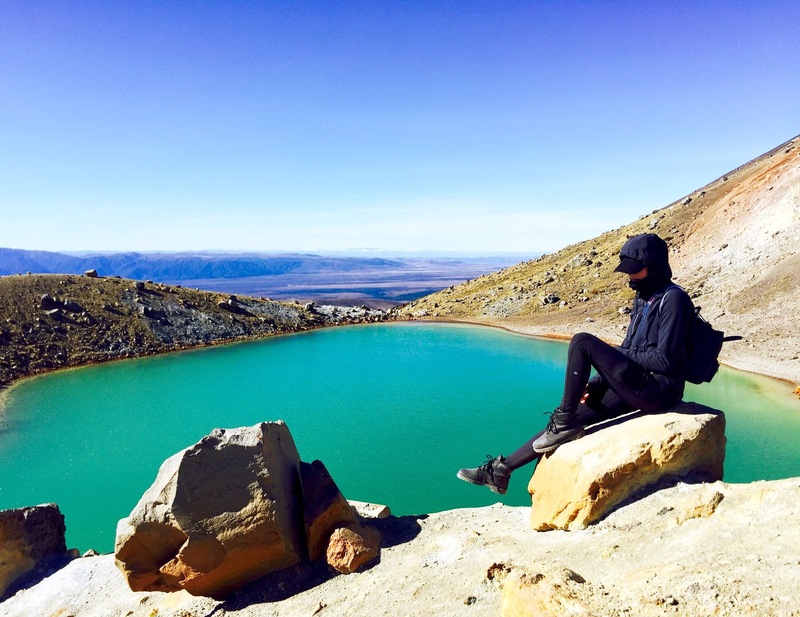 The sun in New Zealand is even more damaging than in Australia, so it's important to protect your face and ALWAYS wear a cap when hiking, even if it's not sunny. I bought a cheap black cap and it was perfect. Warm hoodie - I brought two black hoodies, one from Nike which is for running and kind of water resistant and one from The North Face which is really warm and wind-resistant. I wore both nearly every day, depending on how warm or cold it was. Turtleneck - I bought a couple thin turtleneck sweaters at Zara and they were perfect for layering but still looked quite stylish. Denim shorts - In terms of shorts, you only really need one pair of well-fitting and comfortable denim shorts. I only wore shorts on the North Island. Quick dry layers - With changeable weather, layering is key. On long day hikes, I wore a tanktop, T-shirt, longsleeve and hoodie, just so I could take off layers as it got warmer. Thin layers are convenient since you can put them in your backpack or tie them around your waist. My Nike longsleeve was my favourite. Rainproof coat - On the South Island you'll definitely have some rain, so a good rainproof jacket is essential. I got mine from H&M studio. Comfy leggings - Bring at least one pair of GREAT leggings because you will LIVE in them, I promise. I swear by Lululemon. I think this was my most worn clothing item in NZ. Sports bra - Because your tatas need support when you're doing long hikes. If it gets really hot you can also just hike in your sports bra and no one will look at you funny. Work-out clothes - In case you want to do a work-out or go for a run. Or just to wear daily. Work-out clothes are usually made from quick-dry material which is convenient for washing. Bikini - Only wore this on the North Island. You don't need more than 2 bikinis. Flip flops - Super essential. You'll need them for beach days, long drives (happy free feet!) and most importantly when taking showers on camping grounds. Hiking boots - New Zealand is all about exploring the nature while hiking, so you need good boots which you can walk on for hours and hours. I had comfortable and sturdy Timberland-like boots which were good but I also got blisters during one hike. So real hiking boots are probably the safest option. 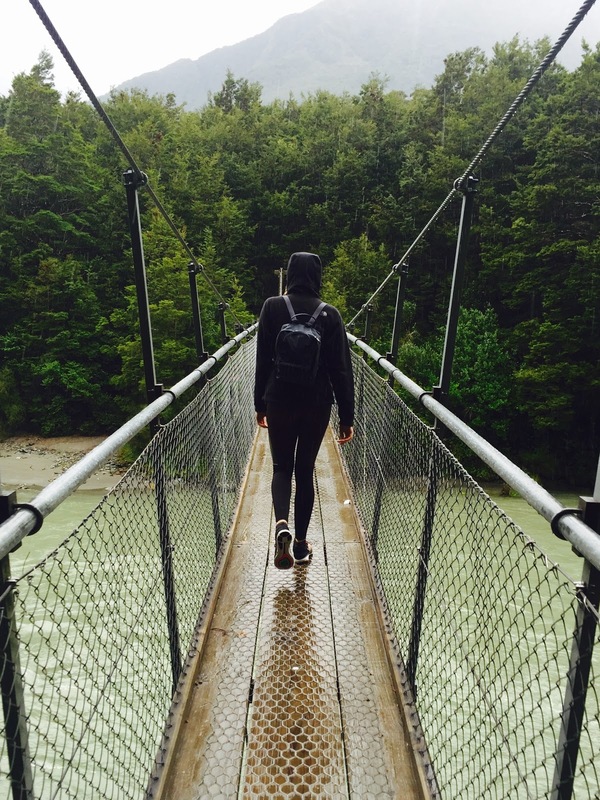 Sneakers - I saw some people hiking on sneakers which isn't something I'd recommend. They are slippery and you can easily get little rocks in them, which isn't the case with hiking boots. But they are great for when you're not doing hikes, and even for the occasional run. I had one pair of Nike Internationalist and one pair of Nike Flyknit running shoes. Anti-blister socks - Quite essential for long hikes. Anything that prevents blisters is good! Sunscreen SPF 50 - The sun in New Zealand is even stronger and more damaging than in Australia so you wear sunscreen, even on cloudy days. Compact microfibre towel - to use as a beach towel, to dry yourself after a rain storm, a tablecloth etc. It's very multifunctional, compact and it dries very quickly, which is perfect in a moist climate. Buy a large one, it hardly takes in any space. Regular towel - you'll need this when staying at camping sites or hostels. One large towel per person is sufficient. You can buy inexpensive towels at larger supermarkets in NZ. Not worth bringing all the way from Europe. Insect bite relief - You will get bitten by insects, whether it's mosquitos or sandflies. It will be VERY itchy so this will come in handy. Insect/mosquito repellent - Because the last thing you want is 1000 insects joining you in your little camper. Blister band-aids - You'll need these if you're doing 7 hour hikes, no matter how good your shoes are. Daily contact lenses - I normally wear monthly contacts but got daily ones for the trip which was the best decision ever. No fuss! If you wear contacts this is the best tip I can give you! Ziplock bags - Useful for keeping electronics dry on rainy hikes, to keep shells, food or other things. Make sure to bring plenty and in different sizes, ziplock bags are versatile and super handy. Tupperwares/plastic containers - You can buy these at Woolworths in NZ. Very useful to keep leftovers in (I always made a whole pack of pasta so we had leftovers the next day for lunch) or to keep snacks in. 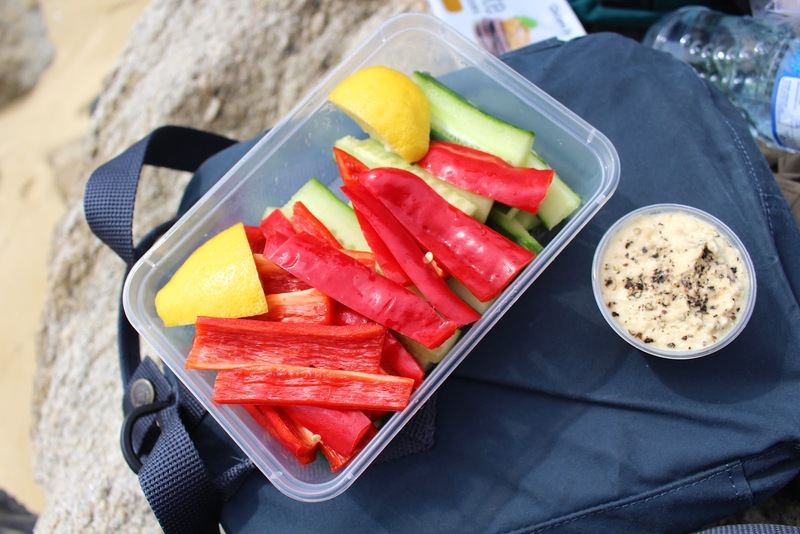 Before long hikes, I always cut up some carrots, cucumber and red pepper so we had healthy snacks. I also bought tiny plastic containers to keep hummus in. Who said you can't have healthy snacks during a hike? Camel bag - Although I don't think this is a MUST, a camel bag is quite handy on longer hikes. If you're not planning on doing hikes longer than 4 hours, I think you'll be just fine with plastic water bottles. I thought it was less hygienic and in the end I didn't use it so much. Backpack rain cover - I didn't actually have this but saw that most people had one. Especially for rainy hikes, a little 'raincoat' which protects your backpack will help protect your camera, dry clothes etc. iPhone charger for in the car - Next to your regular charger, one you can plug into the car will be your lifesaver. If you use your phone for navigation and taking photos, it'll run out of juice in no-time. Enter the car charger. Yesss. 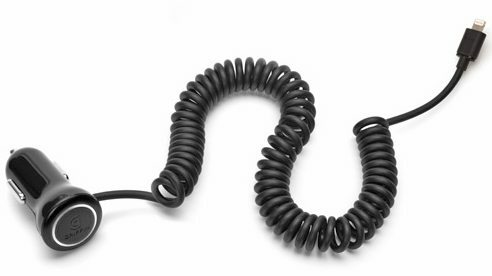 AUX cable - Don't count on radio music in New Zealand because most areas are so remote there's no radio or phone reception. Make a good playlist on your phone or iPod before leaving. Some cars already include an AUX cable but don't count on it, so just bring one. Adapters - This doesn't need an explanation. iPhone waterproof case - I didn't have this but I think it would have been really convenient. Good camera + extra SD cards - You'll want to bring a good camera to capture some of the most beautiful sights you've ever seen. I filled up one 8GB SD card in New Zealand and brought an extra one too. I had an iPad on which I transferred the photos regularly, just in case something would happen to my camera or SD card. Too many clothes - You'll only wear your favourites. Looking cute is not essential when traveling through New Zealand. Just have some good hiking clothes which also look nice together (I went all-black most of the time) and a rain coat which isn't hideous. I think I used about 70% of the clothes I brought. Kettle, dish soap, laundry detergent - We bought these things in NZ before starting our road trip but found out they weren't really necessary since the campings provide all of this. Jeans - I brought one pair of jeans which I wore TWICE in two months. Those were all of my New Zealand essentials! I hope it's useful for some of you. I was definitely not experienced with backpacking, hiking or camping but after this trip I know exactly what's useful and what isn't. I'll be sharing much more from New Zealand, from my favourite hikes to the best camping spots, so stay tuned!